Business & Professional Membership is available to businesses within 50th & France area boundaries. These boundaries are the north side of 49 ½ Street, the south side of 54th Street, the east side of Beard Avenue, and the west side of Halifax Avenue. Affiliate Membership is available to businesses NOT within the 50th & France area boundaries. 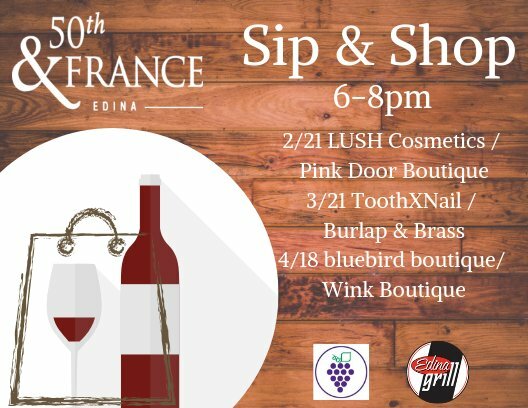 Gain greater visibility through 50th & France promotional activities! Stay up-to-date with timely communications! Enjoy exclusive 50th & France networking and educational opportunities! Keep your clients coming back to the corner! Our voice is stronger when we speak together! Save money with Association initiatives! Beautify the area with planter, banner, public art, etc. Contact Us with any questions about becoming a member.